After the Top Track 250 league table of Britain's booming mid-market private companies was published in the Sunday Times last week, there is no denying the contribution that Asians have made, with their high profits and top line sales growth businesses, to the British economy. In addition, companies which were advised by Grant Thornton to divest and refocus also have done significantly well. 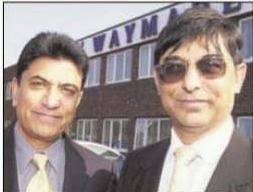 Waymade Healthcare, a Basildon-based pharmaceuticals distributor, is a clear example.